While it is not unusual to find a Spanish Civil War M91/30 with multiple Spanish features, this 1937 dated Tula example is unique in that it has almost every type of marking a Spanish import could have. The rifle it's is completely mismatched, which is very common for Spanish imported rifles. 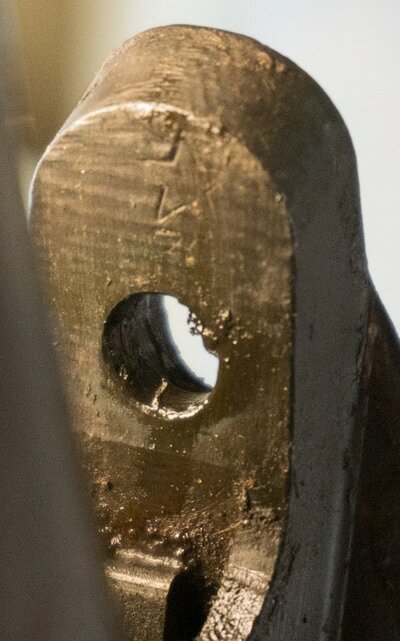 On the reciever is a nicely struck "Made in USSR" marking, added upon it's import into the United States in the late 1950's and early 1960's. An interesting note is that the inside of the receiver is blued. 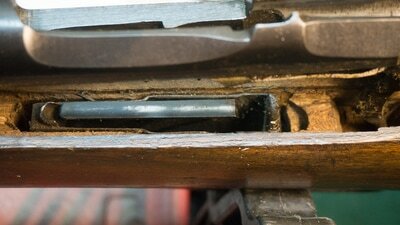 Prior to Soviet refurbishment, the insides of newly made M91/30's were kept in the white. 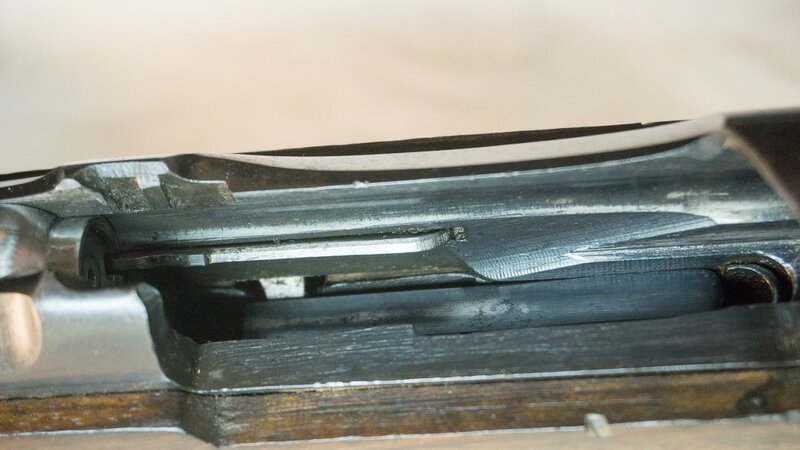 Since no Spanish rifles went through this process, most rifles from Spain will have the inside of the receiver still in the white. 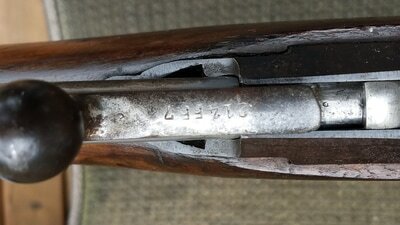 This rifle however has the full receiver blued. 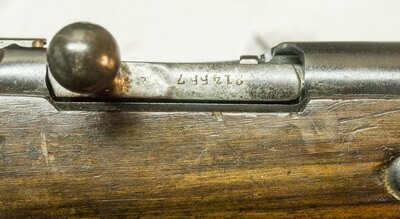 It would seem that many Spanish Mosin Nagants went through a refurbishment process that included a full rebluing of the barreled action. 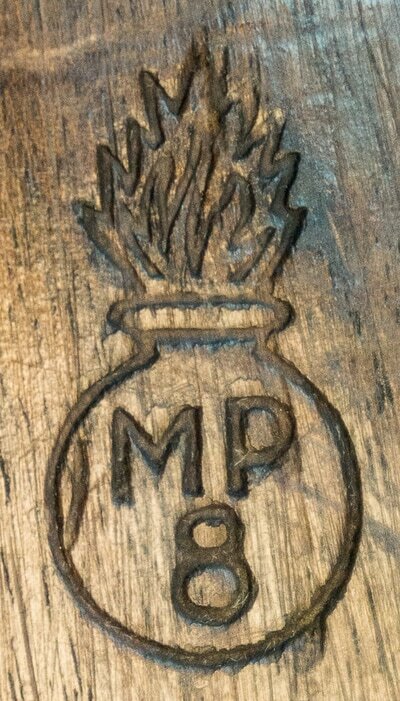 The metal may also have been lightly buffed during this process, as many reported examples with MP8 marked, Spanish made stocks exhibit these same features. 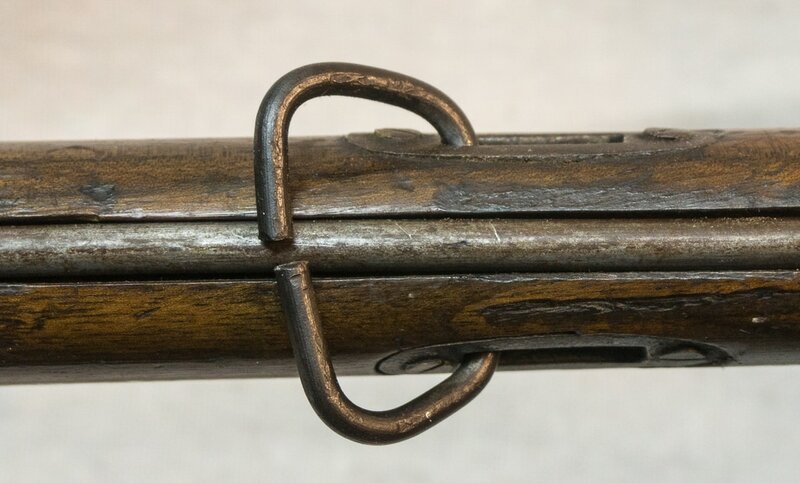 Another commonly found feature of SCW rifles that can be found on this example are wire sling swivels. 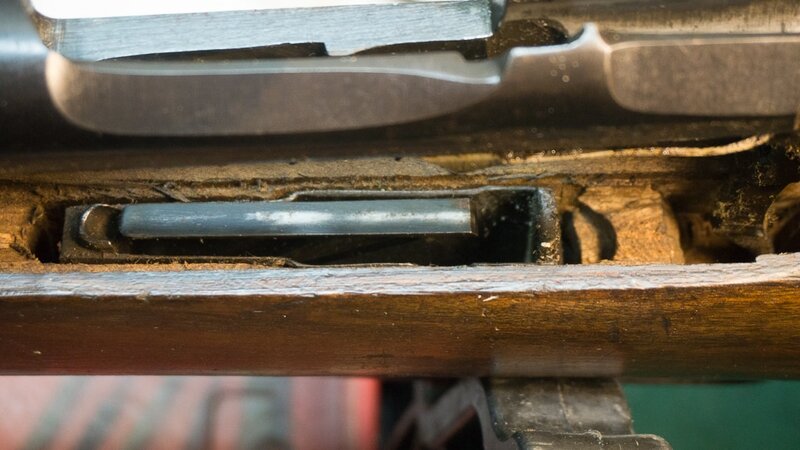 This rifle has managed to retain both the front and rear swivels, showing it likely hasn't been fully disassembled since entering the United States. The front sight and cleaning rod are also Spanish replacements. The front sight is very interesting as it doesn't appear to be a Soviet built example. 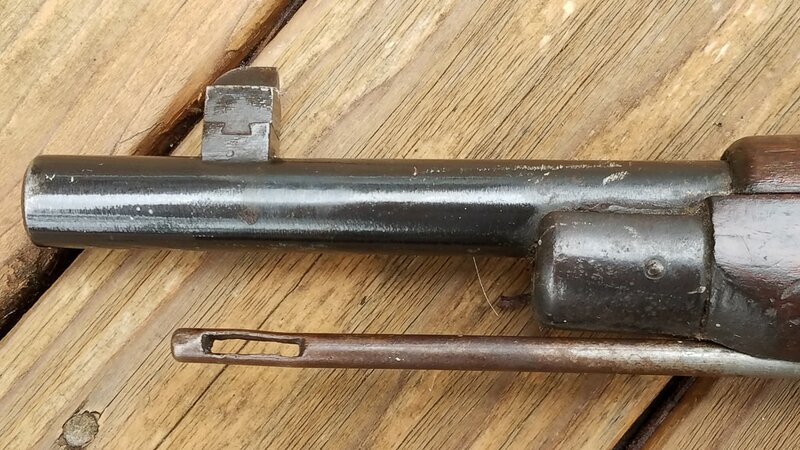 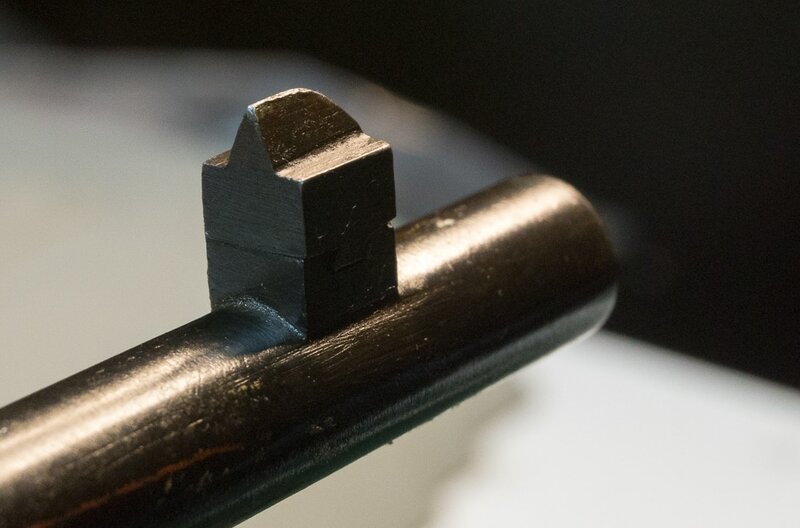 It's possible this front sight was crafted in Spain and not simply removed off of another rifle as is commonly found with blade style front sights on Spanish M91/30's. 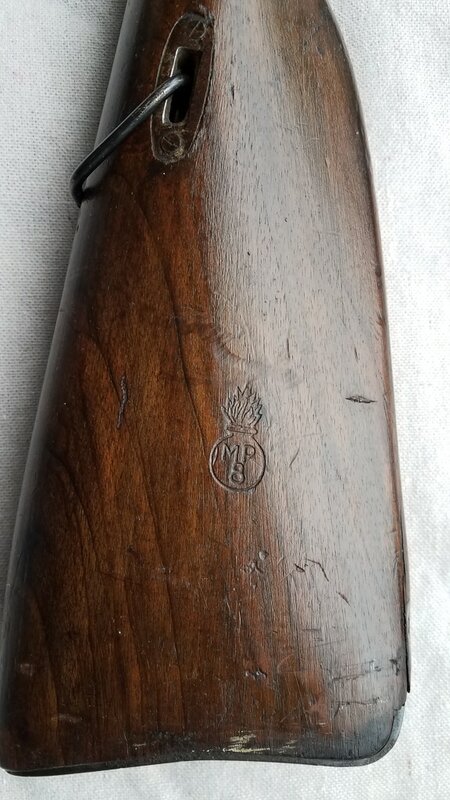 This rifle also features one of the best struck examples of the "MP8 cartouche" I have come across on a Spanish Civil War rifle. It is featured very prominently on the center of the buttstock on the lefthand side of the rifle. 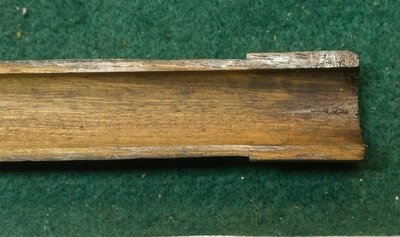 Finally, this rifle has a very uncommon Spanish made replacement stock and handguard. 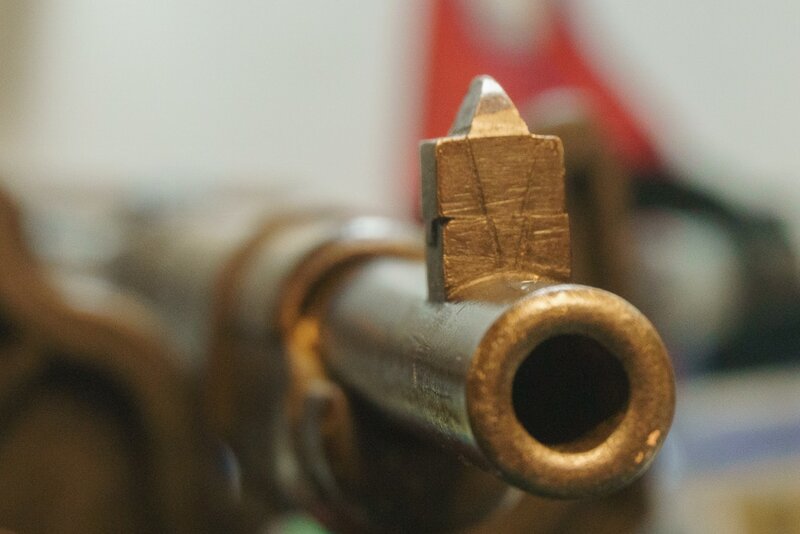 While Spanish made handguards can be found fairly often, it is muc more difficult to find a full Spanish made stock. 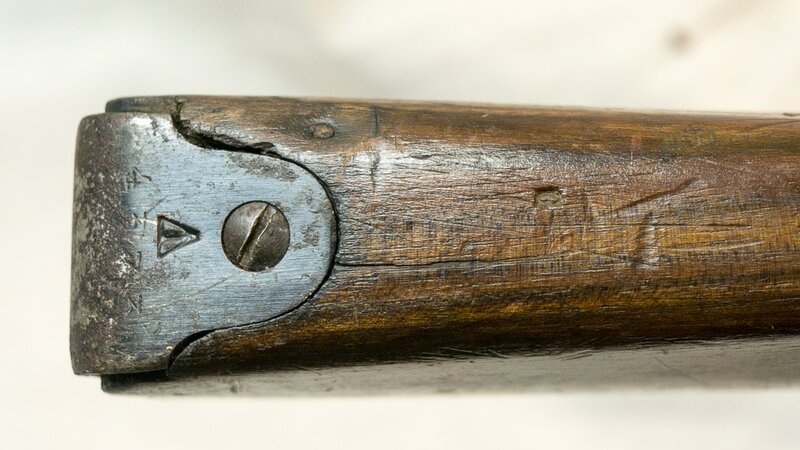 The grasping grooves on this rifle's stock are very crude. They are quite shallow and cut much more lower than on a typical Soviet made stock of the period. 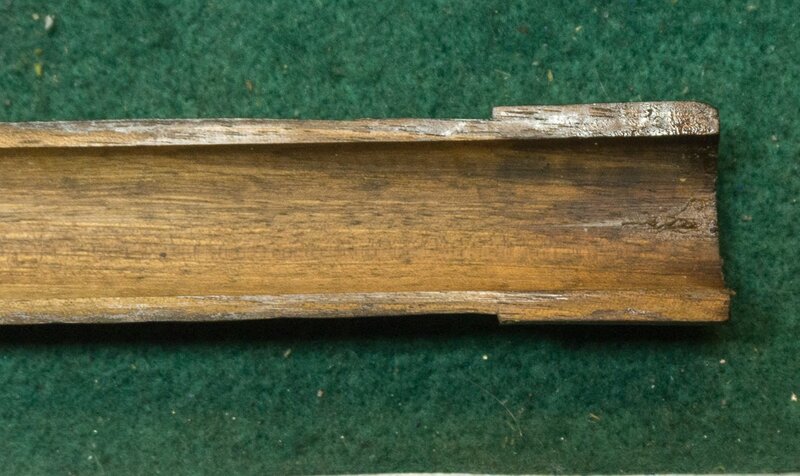 The inside of the stock has some fairly crude inletting, but much better than would be expected from someone trying to copy it by hand. Perhaps the most interesting feature of this stock is that it features a name written in pencil in the barrel channel. 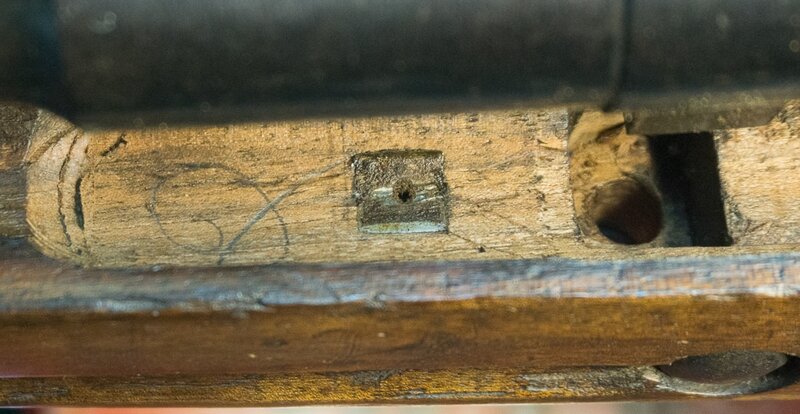 While a bit difficult to see, it would seem to say "Antonio Diaz". 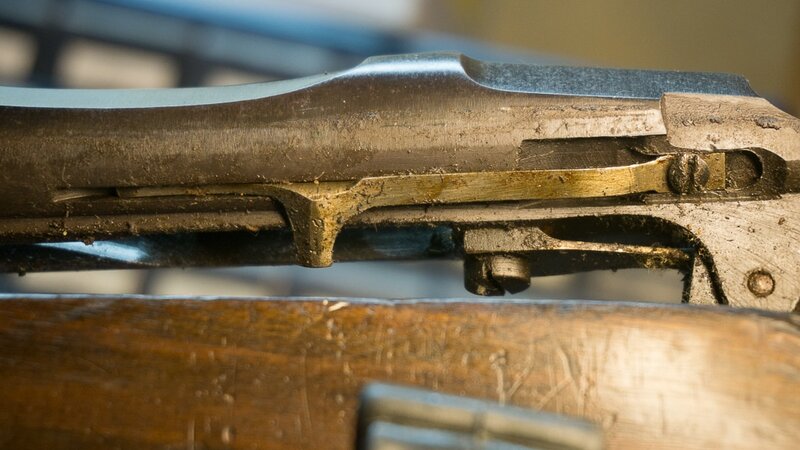 It's very likely that this was the gentleman who crafted the replacement stock for the rifle. 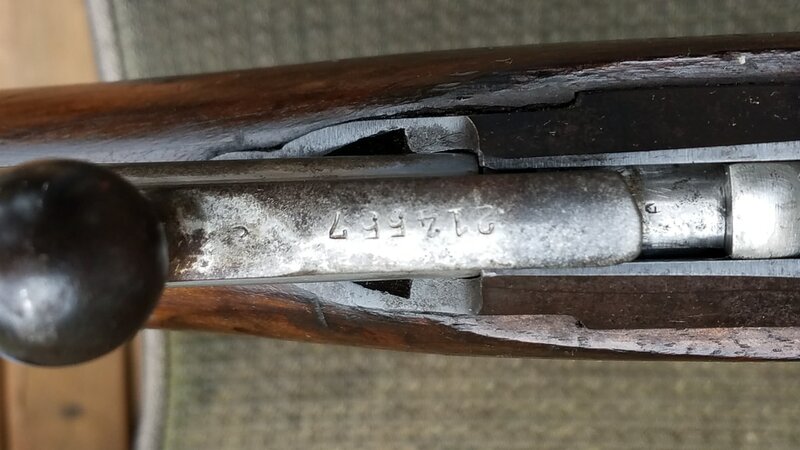 While it's not unheard of to see unintelligable writing in some Spanish stocks, this is one of the first examples of one with a clearly written name. 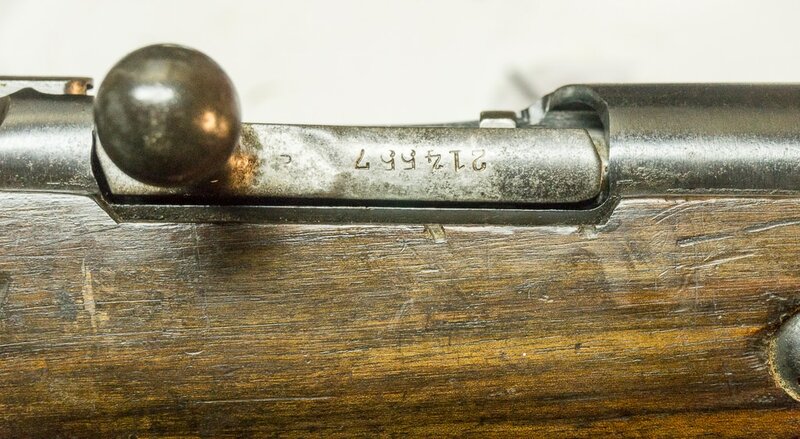 Overall, this M91/30 is one of the most unqiue examples of a Spanish import rifle. 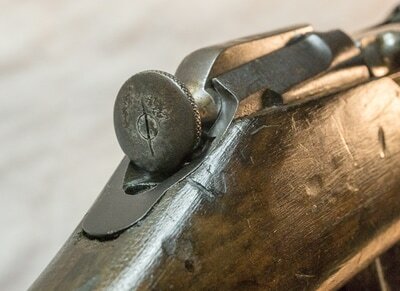 With almost every feature a Spanish rifle could have, it truely exemplifies this variation of Mosin Nagant collecting. 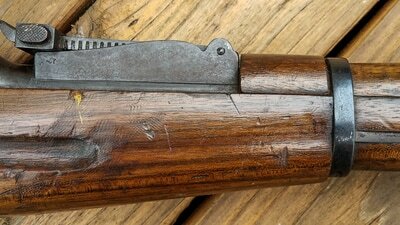 A big thanks to Gunboards.com forum member 'Lotema' for sharing this amazing Spanish Civil War Mosin Nagant!